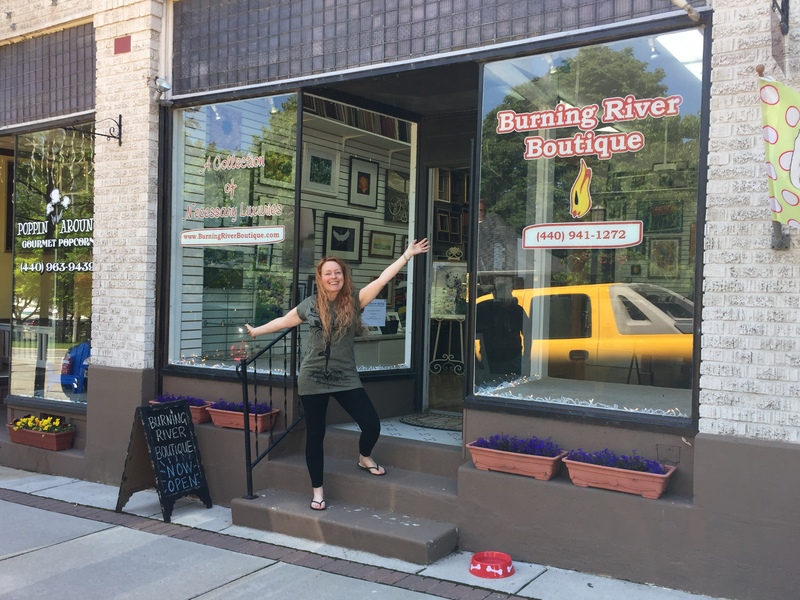 The Burning River Boutique is kind of a home for wayward artists, including me and my photography. We’re a small, but feisty gallery located in the heart of the downtown historical district of Vermilion, Ohio, where you will find all manner of works from local painters, jewelers, sculpters, woodworkers and, yes, photographers. I’m always getting in new items, so stop back often. In the back of the shop, I offer complete custom framing services, where I treat your picture memories as if they were my own. Together we can select the perfect molding, mat and glass to turn your photos, paintings, drawings, posters, handbills, maps or whatever into lasting works of art. I’ve been accused of being a “serial crafter,” but my true love has always been photography, which I have focused on (pun intended) in recent years. I’ve been honored to have my works not only in galleries, but on book covers, too. My picture, Cropped Crops, was selected by the Ohio Arts Council and Ohio First Lady Karen Kasich to be part of the Ohio Governors Residence Artwork Loan Program. That’s me up above in the Governor’s offices where my photo hung for two years. Of course, you can see more of my art hanging in the Boutique.